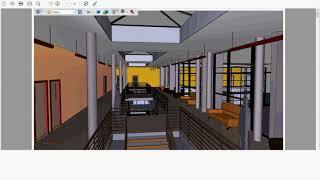 The plugin allows you to convert Revit 3D models to a 3D PDF file. 3. Quick process to generate the 3D PDF. The trial version is valid for 15 days with complete functionality. In trial version, the generated 3D PDF will have a footer displaying the source of 3D PDF generation. That will be removed in the pro version. 1. Resolved issue related to some missing entities. 2. Improved texture 3. Added support to add Normals.